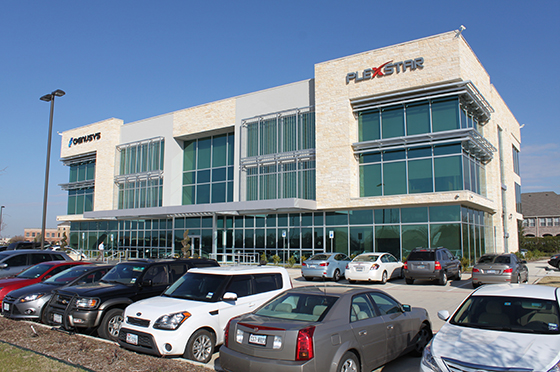 As fiber optic networks have developed for longer distances, higher speeds and wavelength-division multiplexing (WDM), fibers have been used in new wavelength ranges, now called "bands," where fiber and transmission equipment can operate more efficiently. Detailed DWDM band wavelength range is shown in the table below. 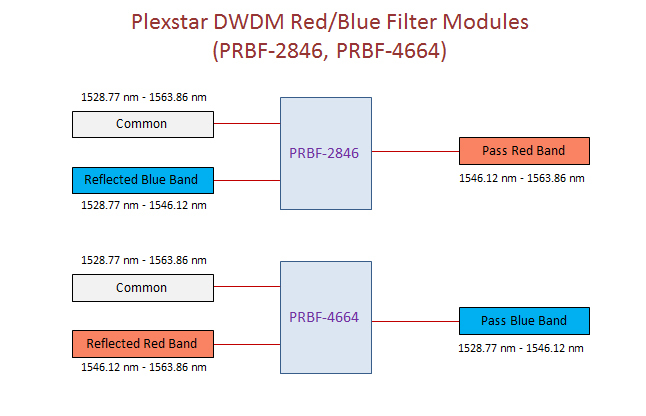 Plexstar DWDM Red/Blue C Band filters are used for combining or splitting C band wavelengths. When used as a band combiner, the bands are combined in the filter and delivered to the "common" port. Or, when used as band splitter, the both bands are fed to the "common" port and the split to the "pass" port and the "reflected" port. These filters are only used when a MUX is combined with a DEMUX in a DWDM single fiber system. 100% slope compensation of G.652 fiber in C-band (Typical) Low Polarization Mode. Compensates dispersion in standard single-mode optical fiber (G.652). Compatible with C-Band DWDM optical channels. Protocol transparent data rate up to 40Gbps. Passive Module, no power required. Can be placed inside PAMP-BA, PAMP-PA, PAMP-LA, and PAMP-RA.